Our toddler activities focus on hands-on, creative play. We very slowly and gently begin to introduce imaginary play, counting and mark-making, but all with a focus on exploring and having fun. Our Zero to Two ebook is perfect for toddlers. It’s packed full of fun sensory play ideas and includes a free set of puppets and some lovely stroller cards you can personalise for your own family. Take a look at it here. Here are our top ten toddler play activities. Our baby play activities focus on stimulating, sensory play using simple materials that are safe for your baby to explore. 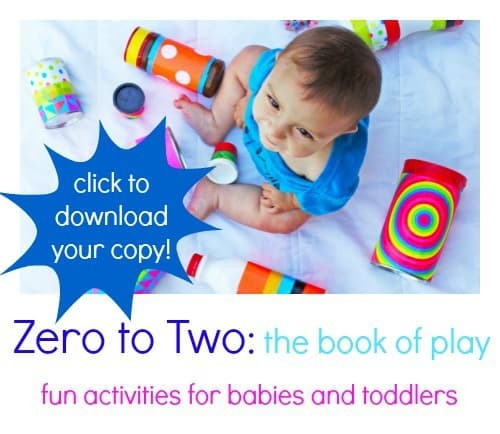 Our Zero to Two ebook is perfect for babies. It’s packed full of fun sensory play ideas and includes a free set of puppets and some lovely stroller cards you can personalise for your own family. Take a look at it here. Here are our top ten baby play activities. 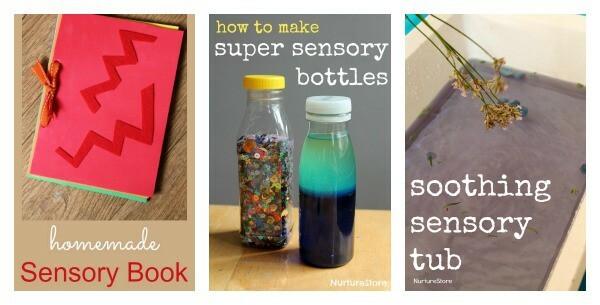 At NurtureStore we keep the hands-on, creative learning approach going even with older children. Why stop using a whole-brain, multi-sensory approach when it is so much fun and such a successful way to learn? We have a couple of freebies in our shop which are just right for this age range. 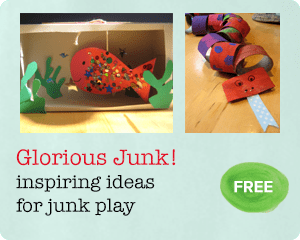 Click through to download Glorious Junk! 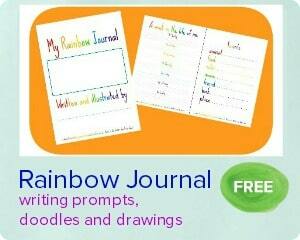 and our Rainbow Journal printable. You will find a huge archive of ideas on these links – all indexed into topic, season and theme to make it easy for you to find what you are looking for. As we add in more math, language, science and art in our activities for five to seven-year-olds we still have a strong focus on hands-on, creative learning. 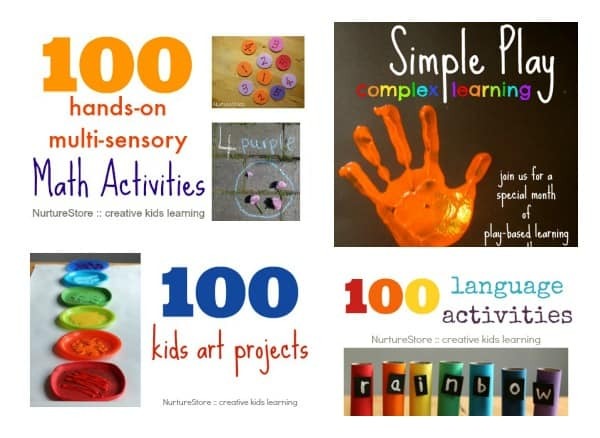 The activities listed here include lots of multi-sensory ideas that encourage children to enjoy learning using their whole brain and all their senses. Our preschool activities focus on hands-on, creative learning. We are introducing plenty of math games, literacy and language activities, science and art, but all through a play-based approach. Our ebook Playful Preschool has been specifically designed for three to five-year-olds. It’s full of creative, hands-on learning, including math, literacy, science, art and play. It comes with ten fantastic printables including My First Journal, a city-scene for pretend play, recipe card, and math and alphabet game cards. Take a look and download your copy here.